It is a quick tutorial on using color palettes (or swatches) and later creating our own custom palettes in Inkscape. 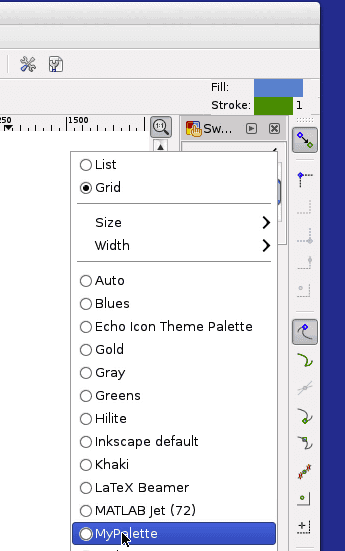 Inkscape is a vector graphics drawing tool. 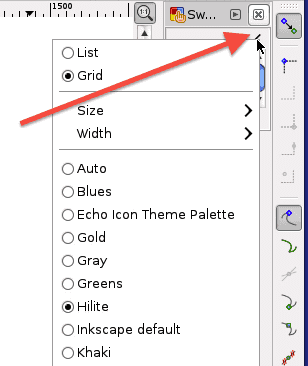 Using color palettes lets you group colors you use frequently and put them in palettes for faster editing of drawings. First create a new document with default or any other settings. 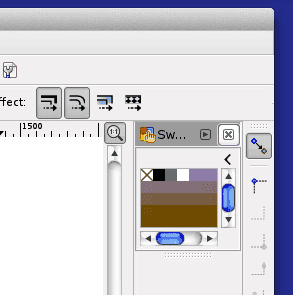 Now any color from the palette can selected whenever needed. 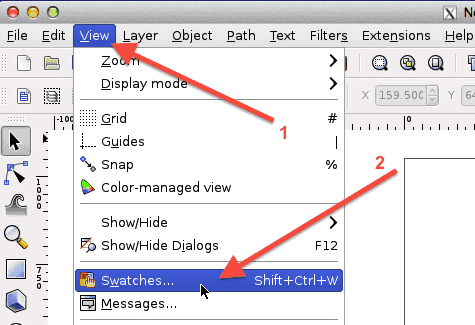 Create a rectangle by clicking on the rectangle tool. 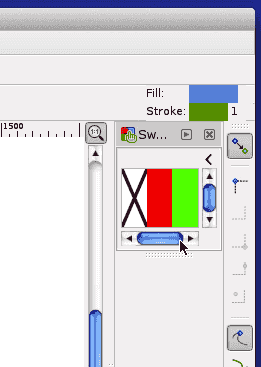 And then click on any color in palette to fill that rectangle with selected color. You can switch to any palette from this list of palettes.